Counseling psychologists help people of all ages deal with emotional, social, developmental, and other life concerns. These professionals use a variety of strategies to help people manage behavioral issues, cope with stress, alleviate anxiety and distress, and deal with the issues associated with psychological disorders. Counseling psychology focuses on providing therapeutic treatments to clients who experience a wide variety of symptoms. It is also one of the largest specialty areas within psychology. "a psychological specialty [that] facilitates personal and interpersonal functioning across the life span with a focus on emotional, social, vocational, educational, health-related, developmental and organizational concerns." Many counseling psychologists provide psychotherapy services, but other career paths are also available. Research, teaching, and vocational counseling are just a few of the possible alternatives to psychotherapy. Whether they are working with clients in a hospital setting or counseling students in an academic environment, these psychologists rely on a broad range of psychological theories the therapeutic approaches to help people overcome problems and realize their full potential. Counseling psychologists work in a variety of locations. Some professionals work in academic settings as professors, psychotherapy providers, and researchers. Others work in hospitals and mental health clinics, often alongside physicians and other mental health professionals including clinical psychologists, social workers, and psychiatric nurses. Still, other counseling psychologists are self-employed in independent practice and offer psychotherapy services to individuals, families, and groups. A few other employment settings include private business, military, government agencies, consulting practices, and more. A Ph.D., Psy.D., or Ed.D. degree is required to become a counseling psychologist. Some students start by earning a bachelor’s degree in a subject such as psychology or social work and then receive a master’s degree in counseling or psychology before entering a doctorate program. In other cases, students can bypass the master’s program and go straight from their undergraduate degree into a five- or six-year doctoral degree program. A Doctor of Philosophy or Doctor of Psychology degree will typically be offered through a university's psychology department while the Doctor of Education in counseling psychology can be found at a school's college of education. Most of these programs receive accreditation through the American Psychological Association (APA). If you are looking for a program in counseling psychology, start by checking out the list of accredited programs in professional psychology maintained by the APA. Out of all the graduate psychology degrees awarded each year, more than half are in the subfields of clinical or counseling psychology. Counseling psychology shares many commonalities with clinical psychology, but it is also unique in several different ways. 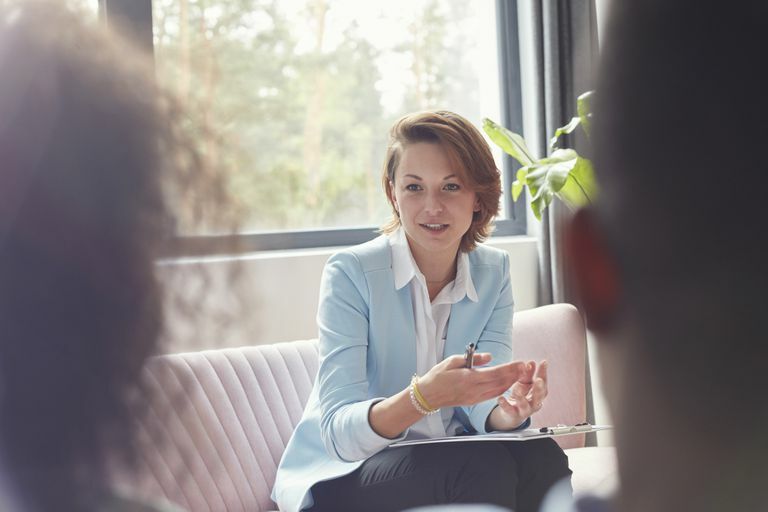 While both clinical and counseling psychologists perform psychotherapy, those working as clinicians typically deal with clients suffering from more severe mental illnesses. Counseling psychologists often work with people who are experiencing less severe symptoms. The treatment outlook can also differ between clinical and counseling psychology. Clinicians often approach mental illness from a medical perspective, while counseling psychologists often take a more general approach that encompasses a range of psychotherapeutic techniques. Of course, the individual approach a therapist takes depends on a variety of factors including his or her educational background, training, and theoretical perspective. Brems, C., & Johnson, M. E. (1997). Comparison of recent graduates of clinical versus counseling psychology programs. Journal of Psychology, 131, 91-99. Mayne, T. J., Norcross, J. C., & Sayette, M. A. (2000). Insider's guide to graduate programs in clinical and counseling psychology (2000-2001 ed). New York: Guilford.